FamilyPoolFun.com: Metal or Resin - What’s the Best Pool For Me? 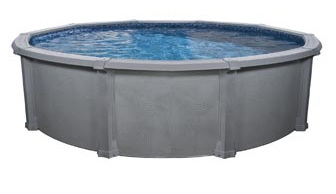 Metal or Resin - What’s the Best Pool For Me? do some routine maintenance and structure checks occasionally. (corrosion), oxidation and pitting can create small holes in your pool over time. 2) What About Wear and Tear? the use by stretching and using its “bend and bounce” nature. forgiveness is just what family needs with an active family. with a UV coating that is made specifically to relieve the stress of the hot sun. B) Will you ever move your pool? C)What kind of maintenance do you want to perform? D) If you’re in a very hot climate, consider the way that metal pools heat up in the sun. Top 10 Ways to use your Noodle!